Sorry to get off topic but I have was wondering if you have hiked much of utah. I might have a few questions for you. The best alcohol fuel to use is pure ethanol. Methanol is 57k BTU/gal. Ethanol is 76 BTU/gal. Denatured alcohol is mostly methanol as methanol is much cheaper than Ethanol. Red Heet is all methanol. To get ethanol I use the 195 proof Everclear. Yes - it is more expensive (the good stuff always is). The added side benefits is it can safely sterilize a wound and with the addition of alcohol essences you can have any liquor or liqueur of your choice. Yes, I've been to Canyonlands and Arches several times. I've also been to the Capitol Reef area but didn't stay there due to weather. What is your question? Either way, a well structured test and very informative. Off topic, what video editing software are you using? I am looking for an opinion on which area one should go to if you had to choose between Zion National Park or bryce canyon. 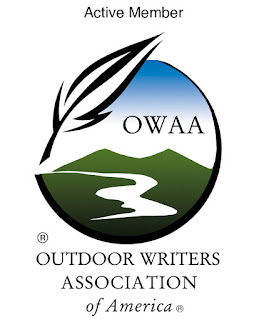 Im looking for moderate trails that are 15 to 20 miles long. I thought I would get a locals opinion. Unfortunately, I haven't been to Bryce Canyon or Zion. They're on my list but I wouldn't be able to give you any advice on where to go. HEET doesn't cost as much down here for some reason ($1.37 bottle right now, cheaper in winter when the four-packs come out). But denatured alcohol certainly works fine. My only real complaint about it is that it stinks a lot more than the HEET. If HEET were that cheap here, I'd probably buy that instead just for the savings. The Narrows is the coolest place I have ever been to. Only hiked up it about a mile after biking the 8 miles up the canyon road. Bryce is cool too. I hiked one afternoon across about 3/4 of the bowl. Bryce has shuttle buses in case you bonk out after a hike in the bowl. A lot of my new ultralight friends use 90% Isopropyl or they (some of them are medical professionals) will gank from work 100% pure ethanol and use that. They say it works good. But I bet it takes longer to boil with these two things. Hey, Jason, ever tried the red HEET in a tea lite tin? Everything I've heard says that you're not supposed to use the RED HEET, only the yellow. I've never actually tried it because of all the warnings out there. Have you tried it? Yes, Tinny told me about that. I don't know if I've really noticed much of a difference but I have heard other people comment that the batches seem to vary. No, Jason, but I think I'll give it one try. Most of the warnings concern rubbing alcohol (about 70% isopropyl) or certain stove configurations where the iso burns too hot for the stove. I just wonder if the simple open tea light tin might work fine, just a little hotter? I'll let you know the results if I live through the test. Thanks for shooting video of this test Jason. I have and use both SLX and HEET with a tea light stove. I've found that both work fine under ideal (AKA home) conditions, but that the extra 30 to 40 seconds of burn time can make a difference in the field. I suspect that when using well designed stoves, like some of the ones you have in your collection, that 30 seconds doesn't matter too much; however, it may make the difference between boil and no boil with stoves like the tea light in the field. Thanks again for this video! Agreed, 30 seconds can make a big difference in the field. I agree with Tinny that the SLX varies from batch to batch, but it is usually clean burning. I have used a brand called sunnyside denatured alcohol, which always leaves my pots a little sooty and they get completely black after a few days. I am not sure why it is different than SLX. Concerning the Heet in the red bottle (IsoHeet), I have successfully used it and 91% rubbing alcohol from the drug store in my MBD voodoo, MBD choke hazard, and a tea light stove. All burn isopropyl alcohol just fine, though boil times are slightly longer (about a minute) and pots get sooty. As a side note, a tea light stove with isopropyl alcohol makes a nice orange candle for light reading while heating water if you don't need the windscreen. Thanks for doing the SLX/HEET comparison Jason. Also, if you don't want soot and you are really cheap, you can mix HEET and 91% rubbing alcohol together 50/50 and get rid of the soot problem. I have noticed that denatured alcohol tends to require more priming than heet but it seems to burn hotter & with more pressure in the jets. I can't get a full rolling boil without a lid if I use heet, but I can if I use the S-L-X. The Klean Strip S-L-X Denaturated Alcohol is made of 50 - 55 % Methanol and only 45 - 50 % ethanol. This product can better be called denaturated Methanol. It would be interesting to test a denaturated alcohol with a high ethanol % against HEET( ethanol ). Klean Strip has a green line of products including a denaturated alcohol that contains more than 90 % ethanol. Thanks Kamiel, I'll have to check that stuff out. I've never heard of it before. 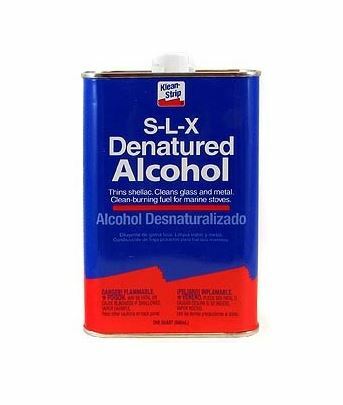 Have you tried sunnyside denatured alcohol? I am curious how it compares. Neil, no I haven't even heard of it. Anyone else? Here are the specs for Sunnyside from the company website. Another widely distributed brand of high-ethanol-content denatured alcohol is "Klean Strip Green Denatured Alcohol", from the same people that make S-L-X. The "Green" part is important. "Made from 95% Natural & Renewable Resources". MSDS (PDF) states the Ethanol Concentration at 90.0 - 100.0% (probably never 100%). $7.49/quart at my local Orchard Supply Hardware. Be sure to get the Green labeled cans.